Genetics & Genomics — U.M.B.E.R.S. 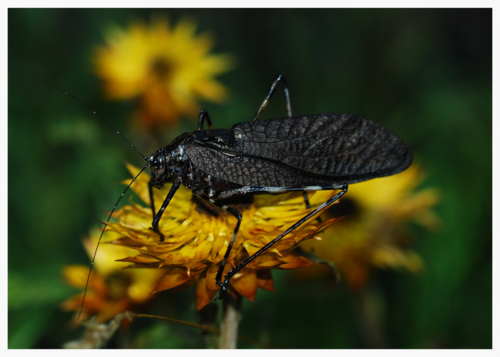 Mountain katydids are a charismatic species of Australian orthopteran found across the high-country and from time-to-time in some lowlands across the entire east coast of Australia. This monotypic genus has a fragmented distribution from Cairns to Hobart and has never been taxonomically or genetically revised to determine whether it harbours several cryptic species. Funded by the Hermon Slade Foundation, we are collaborating with Rachel Slatyer and Hojun Song on a project led by Nikolai Tatarnic, on the population genomics of Kosciuscola across their montane range. For more information you can visit our project's Hermon Slade website here.